We help the residents of Colorado face the physical and emotional challenges that result from an accident or injury caused by another party. James “Jim” Anderson has been practicing Workers’ Compensation and Personal Injury Law in Southern Colorado for over 27 years. During that time he has helped thousands of his clients navigate the legal system to obtain medical care and treatment and monetary awards and settlement. Jim provides personal client representation meeting with every client and always being available to answer their questions as well as personally handling every aspect of the litigation process. 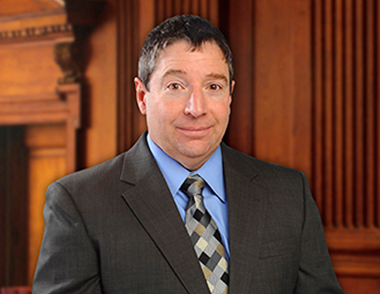 Jim has represented workers’ compensation clients before the Office of Administrative Courts, Industrial Claims Appeals Office and the Colorado Supreme and Appellate Courts. He has represented his clients in District Court and Colorado Supreme and Appellate Courts for personal injury matters (auto accidents, falls). He has represented his Social Security clients before the U.S. Office of Dispute Resolution and Hearings in Administrative Hearings as well as Appeals to the Appeals Council and the U.S. District Court. Jim has lived in Colorado for 27 years and enjoys all the outdoor activities that make Colorado such a special place. He lives in the Colorado Springs with his lovely wife of 29 years and they continue to enjoy time with their 4 children.